I was provided product by BEHR to write this post but the thoughts and opinions expressed are my own. 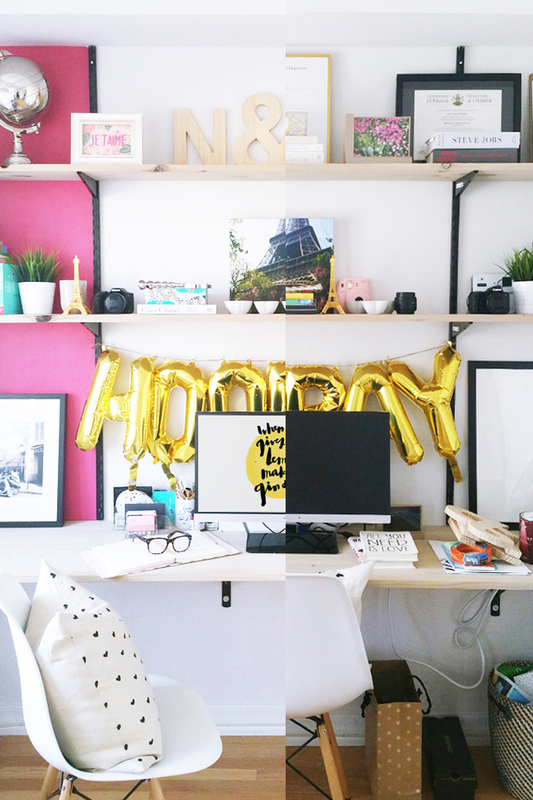 I was totally surprised when Kyle said yes to letting me update our office space with a fresh coat of BRIGHT paint. Let’s just say I may not have exactly disclosed to him that I was thinking pink! 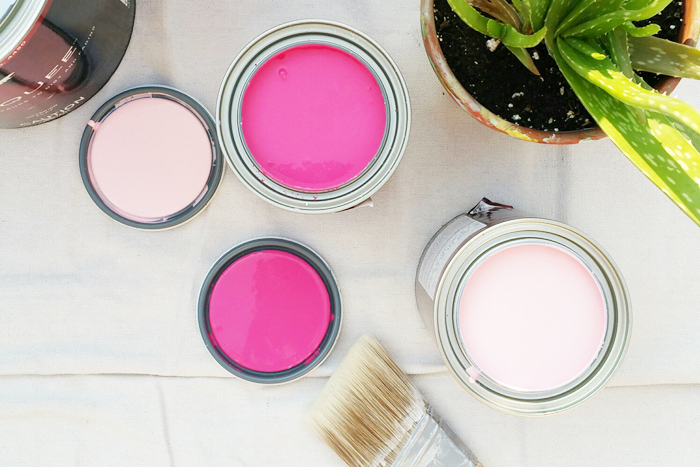 I instantly fell in love with Pagoda, the fuschia pink colour featured as part of BEHR 2016 Color Trends. I had to get my hands on it and was willing to make any paint project work with this. The office was the perfect opportunity! Since Pagoda (T16-02) is quite dramatic, I really didn’t want to use too much of it, but rather as a happy accent. I decided to paint two side panels behind our custom DIY shelving unit and really thrilled with the final result! To be honest, I am the one who primarily occupy our home office space, therefore I was ecstatic that Kyle agreed to let me put my own stamp on it. 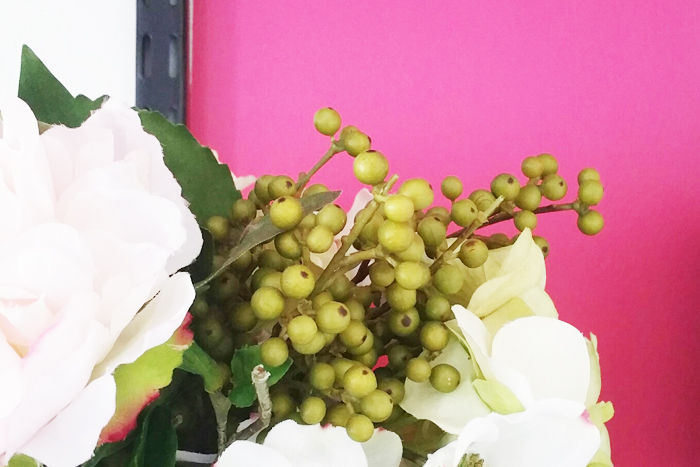 A little pink never hurts a creative soul, right?! Today, I’m excited to share not only my September BEHR DIY Expert Paint project with you but privileged to also share the projects from my fellow BEHR paint ambassadors AND a fabulous BEHR Paint Giveaway! Be sure to check them all out and enter the giveaway at the end of this post. 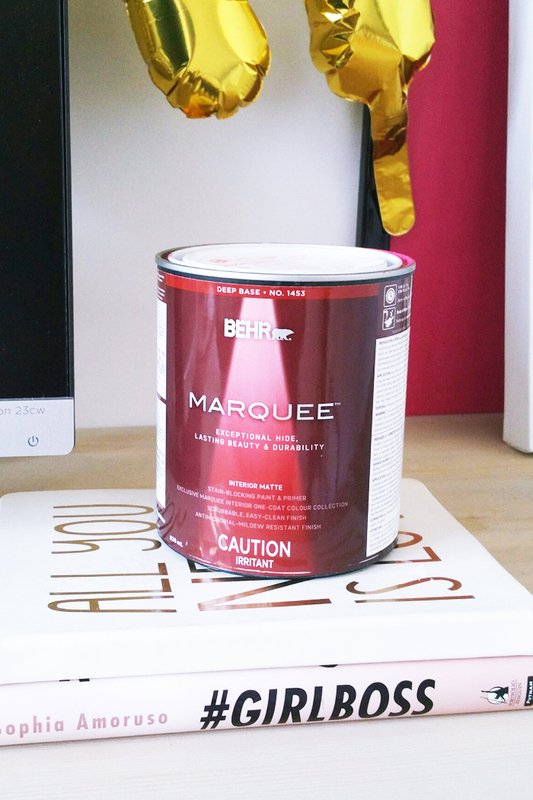 Four lucky winners will receive three gallons of BEHR 2016 Color Trends Paint! Yay! Best of luck! 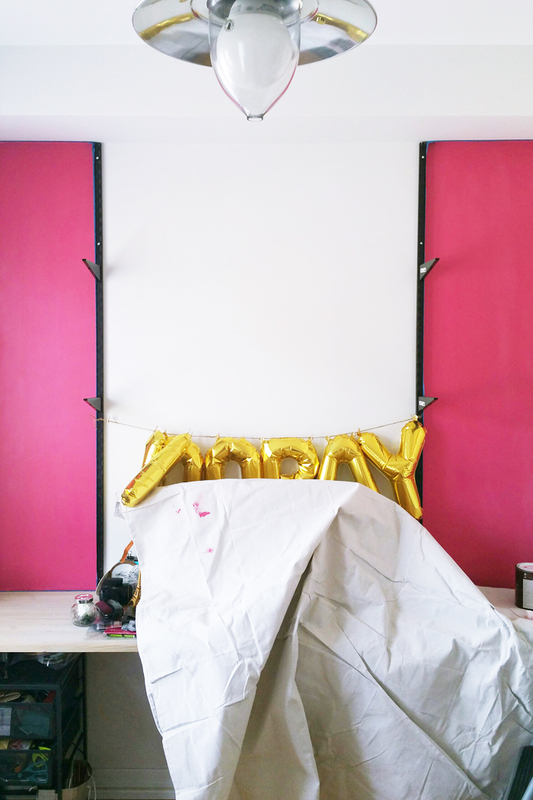 Visit the following BEHR DIY Expert blog links to find out what project they worked on with the 2016 Color Trends! Good luck! 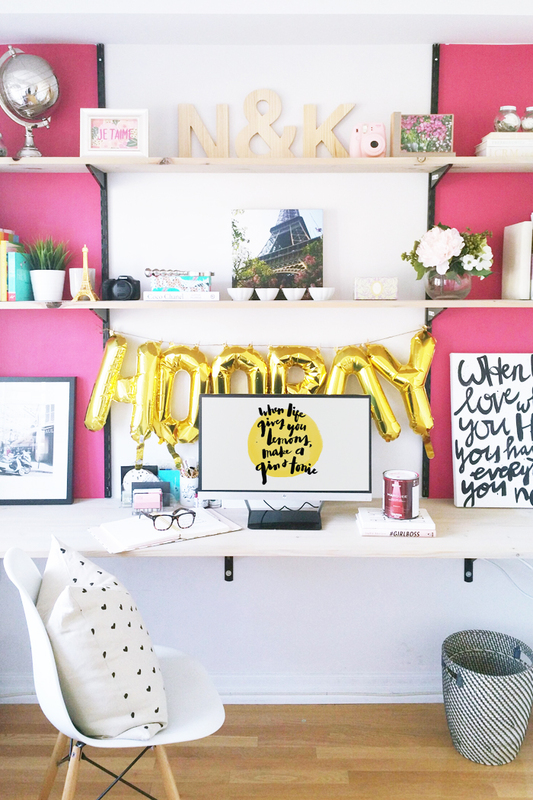 Would love to hear what you think about my pink office update? Yay or nay!? Disclosure: This post was produced in partnership with Behr. All paint products mentioned in this post was c/o of Behr. However all ideas and opinions are 100% my own. Coralette is beautiful! Would love 3 Gallons to work with. So many projects! Thank you so much! The moment I saw this color I HAD to use it somewhere!!! I really like Elegant Navy M530-7! Thanks Katie! So glad you like it! I LOVE that pink and want to do something else with it!!!! Thanks Jamie! 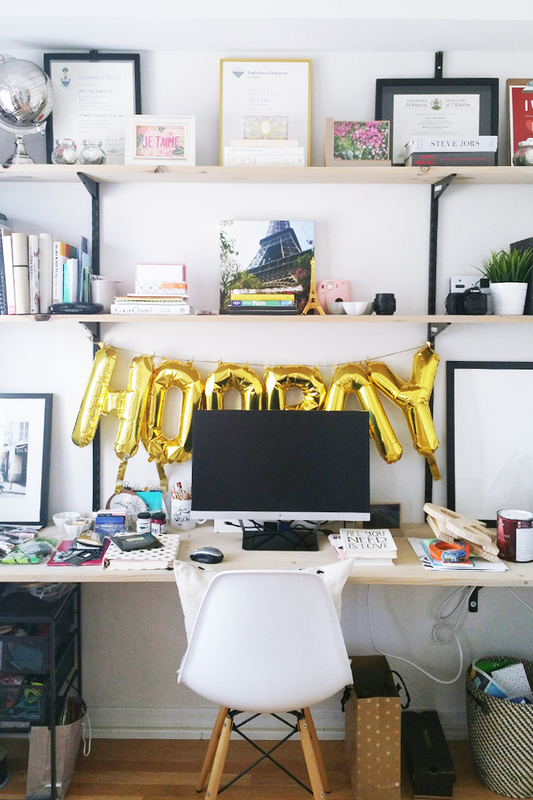 A colourful workspace really helps with productivity!